Loan rates have not been affected despite more stimulus cuts by the Federal Reserve. 30 year fixed-rate mortgage loan rates closed only .01 percent higher than the 52 week low on Friday, August 15th, holding at 4.09%. This is a .05% drop from the previous day. Some financial analysts were concerned that rates would begin to rise on the heels of the most recent cuts to the federal stimulus practice of Quantitative Easing (QE), which has dropped to $25 billion per month, down from its high of $85 billion at the beginning of this year. 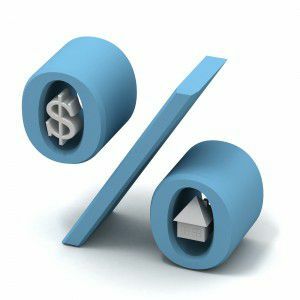 This brings good news to home buyers concerned that economic conditions may spur rate hikes, which may affect their ability to qualify for their desired home loan amount. While 2013 was a whirlwind market due to an extremely low inventory of available homes for sale in the Santa Clarita Valley, we’re seeing a balance this year as more homes are being listed with sellers still taking advantage of rising home prices. The median home price of a single family residence has risen $48,000 since January of this year. That being said, buyers are enjoying more choices, and in some cases, more options from sellers regarding contingencies and price. On average, homes are remaining on the market for roughly the same amount of time as they did last year (Within a few days, according to the Southland Regional Association of Realtors), so in many cases, sales are still brisk. Home sellers may not have the luxury of receiving an overabundance of simultaneous offers from buyers as they did in the first half of 2013, but with interest rates remaining low, many buyers are doing their best to take advantage of their purchasing power.